You use Evernote, don’t you? If you don’t, you’re missing out. Evernote is an easy way to help busy lawyers keep track of all sorts of information and easily find it when needed. It can be used for all sorts of things, as evidenced by Tim Baran’s recent article discussing how lawyers utilize it. Tim asked legal technology gurus from all over how they use Evernote, and his list included my good friends Tom Mighell, David Sparks, John Harding, and Katie Floyd (among many others). Better yet, his article includes links to many other resources discussing many best practices and uses for implementing Evernote into your practice. 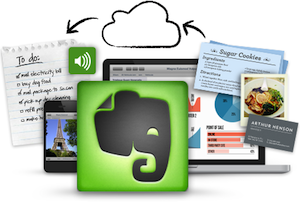 So what two things do I use Evernote for on a regular basis and what makes it invaluable to me? You’ll have to read Tim’s article to find out, but trust me, it’s well worth your time. I want to offer a huge thank you to Tim for providing this excellent article and resource about Evernote for lawyers. Source: “How Lawyers Use Evernote” by Tim Baran, published at Legal Productivity.